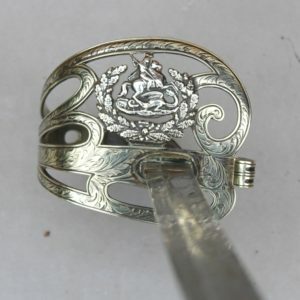 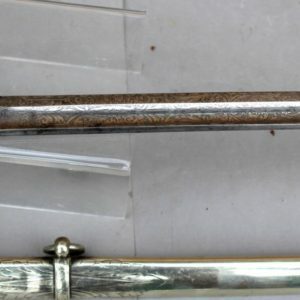 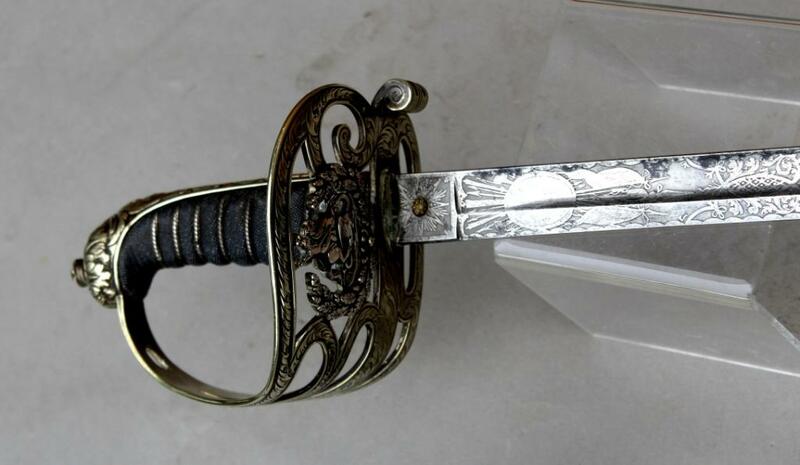 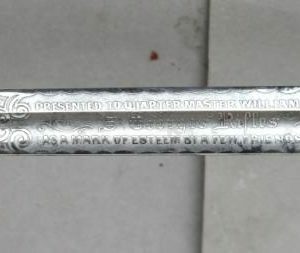 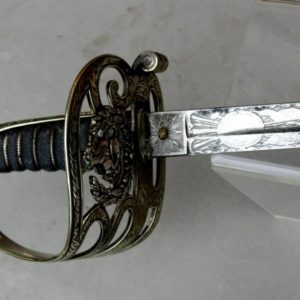 The sword manufactured by W Jones, London; the guard and scabbard of full nickel silver with silver applied crest of the St George’s rifles to the guard. 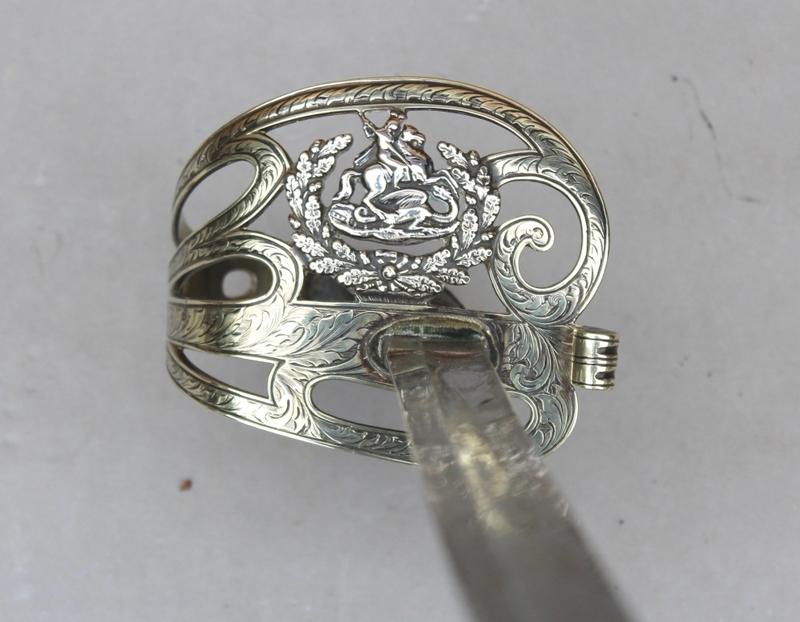 Decorated to the reverse with Victorian rifle regiment crest and bugle horn, foliate and scroll etching of high quality to both sides – some staining towards the tip. 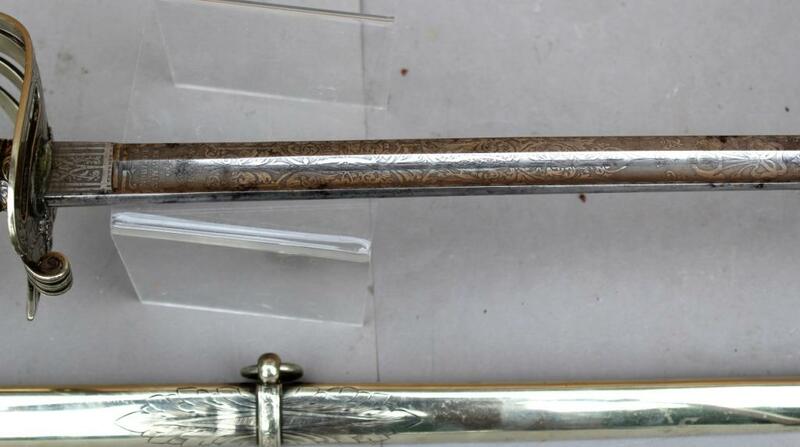 The full scabbard in German silver.